I have talked what is scrum agile methodology in my last post, in this post we are going to walk over scrum sprint. So what is scrum sprint? 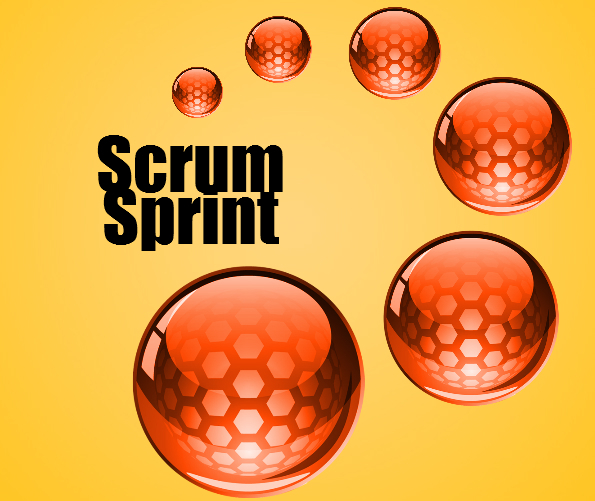 Sprint is the core of scrum agile methodology. Sprint is the time frame in which design, development and testing happens. Sprint may last for 2-4 weeks. There could be multiple sprint in a scrum development project. Next sprint will start only after the current sprint is completed. Changes which may alter sprint’s objective are avoided. Scrum team remain same and person involved with it are not changed. As development progress, goals may be discussed and renegotiated with the scrum product owner and team. So in simple terms, a project is broken into smaller pieces which is called sprint. Multiple sprints combine together to form the final product. A sprint can be cancelled before it completion if the product to be delivered is not required anymore. It may happen if there is a change in the requirement or budgeting. Scrum product owner will review the completed item and may accept it if required. Objective of sprint planning meeting is to figure out the work to be done in a sprint. In general, eight hours are allotted for a sprint of 4 weeks. Scrum team is required to collaborate and decide on what should be done in a sprint. Sprint team decides on what has to be delivered and how. While planning what needs to delivered, scrum team will look at the requirement or functionality and forecast on what needs to be done to achieve that. Sprint Goal provide some flexibility to the development team. Status of work completed yesterday. Any issue or obstacle which may hinder development work today. Objective of daily scrum meeting is track and monitor the progress of work in a sprint. You can address any issue whenever they rise. Daily scrum meeting help scrum team to achieve sprint goal. Daily scrum meeting is not a conventional status update meeting, it is meant to optimize sprint. Development team along with product owner and scrum master come together to solve any issues which may impact it deliverables. Sprint review take place at the end of each sprint. Sprint review is intended to monitor the completed item from product backlog. Scrum team shows only completed product and not those which are incomplete. In scrum, definition of done is predefined and only those functionalities which satisfy definition of done. Completed products are demonstrated in sprint review meeting. Product owner identifies what has been completed, what not. Development team discuss what went right and what went wrong. Development team demonstrate the completed product. Entire group discuss about the next sprint and related issues. Product backlog is updated/modified based upon sprint review meeting. Evaluate the last sprint and review the major completed items. What went well during last sprint? What improvements could be made in next sprint? Sprint retrospective is extremely important to ensure smooth transition from one sprint to another and consistency in the quality of the product delivered. A lot more can be written about scrum sprint but idea is to introduce you to it. Scrum sprint will require many more posts and I will cover most of it in my future posts. Please share it on social networking site to share it with your friends and family. Leave your feedback, query or comment.